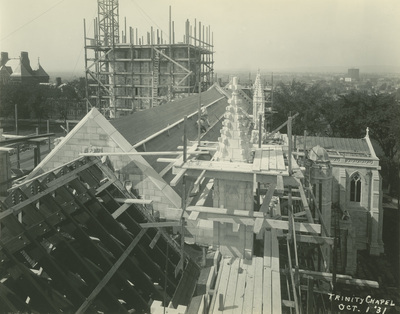 View of work on the chapel, looking west toward Summit Street. Scaffolding surrounds the tower and roofers are working on the north side of the roof. The exterior of the North or Friendship Chapel is complete.